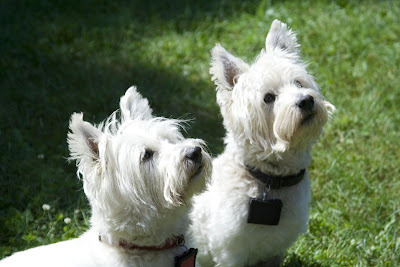 My brother-in-law has these two adorable Westies, Mac and Duffy. They are inseparable and are looking eager to get a treat. That's Duffy on the top. 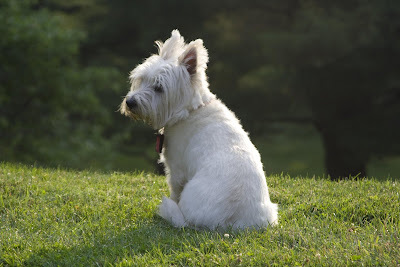 He was enjoying the view of Canandaigua Lake from the beautiful grounds at the Mees Observatory. I called his name, and he turned to look at me. I love this photo. 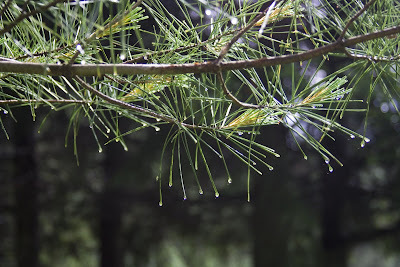 In NY after a good rain storm, I went out to take some pictures and took this one of the raindrops on the pine needles. Last week, we vacationed at our home in NY. On the way, we stopped overnight at the Mees Observatory in Canandaigua, where there is a very large telescope. My daughter has learned to use it to give presentations and was able to reserve the house and the telescope for a night. We saw many things in the sky -- nebula, star clusters, etc. -- and were very impressed with her expertise in using the telescope. 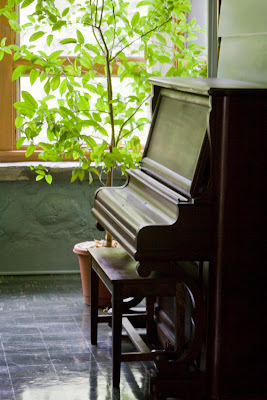 Anyway, this piano was in the house, and the morning light was illuminating it beautifully. The light coming in through the window made the exposure tricky, but I think it turned out OK. 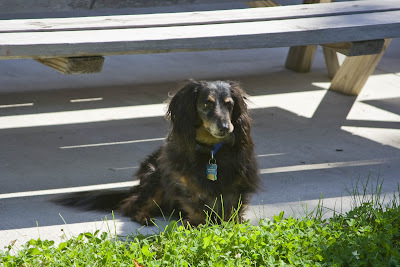 While on vacation, Andy (our dog) was sitting in the shadow of the picnic bench while watching the kids play in the yard. 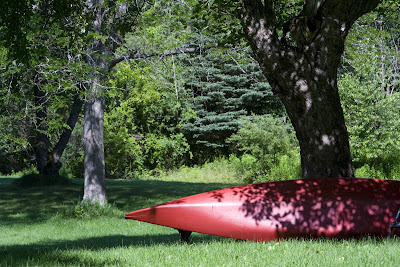 And I really like the shadow play on the red kayak. I couldn't decide which photo to submit, so I'm submitting both. Hope that's OK. The same day I went to Scituate. 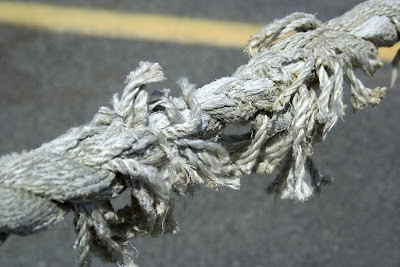 The frayed rope was taken at The Millwharf restaurant. 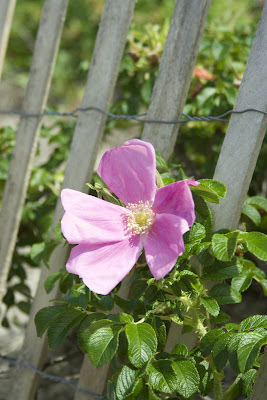 It's part of a fence around the parking lot and always has a lot of character. 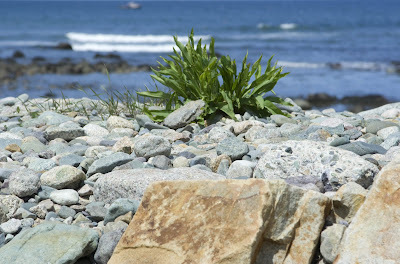 I took the photo of the plant on the rocks by the Scituate lighthouse. 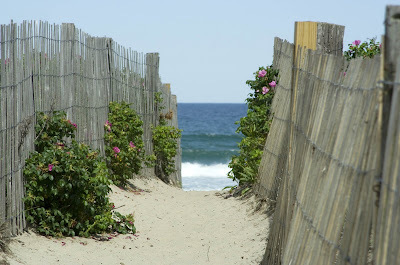 Went to the beach last week to take pictures of the beach roses. 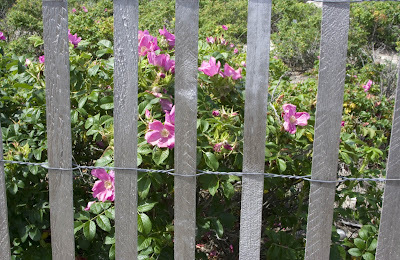 They were in bloom and at their peak.